Prayer should always be a dialogue with God with charitable consideration for others’ needs, Pope Francis said yesterday. Source: CNA. 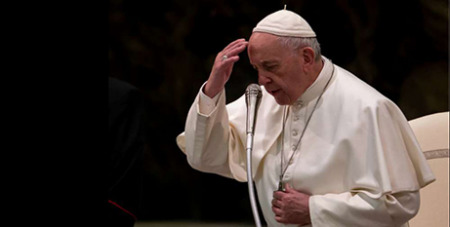 “There is no room for individualism in dialogue with God,” Pope Francis said during his weekly general audience at Paul VI Hall, noting that there is no “I” in the words of the “Our Father” prayer. One’s prayer should not contain an “ostentation of one’s problems as if we were the only ones in the world to suffer,” the Pope said. In a continuation of his weekly catechesis on the “Our Father,” Pope Francis focused on the prayer’s repeated use of the words “you” and “us,” rather than an individualistic “I” in his general audience. “If one does not realise that there are many people around him who are suffering, if he does not pity for the tears of the poor, if he is addicted to everything, then it means that his heart is of stone,” he said.